Although most of us simply don’t pay attention to such everyday events, we’re currently witnessing electric vehiclerenaissance. All-electric range in hybrid cars and overall range in 100% electric cars is increasing with each passing day. At the same moment, charging times are slowly but steadily being cut down to acceptable levels. But things weren’t all that rosy just a few years ago. Moreover, they were simply dreadful some two decades ago when first generation of electric cars tried to make its mark in automotive world. First electric vehicles were all but practical. They were rather expensive, yet they failed to compensate by offering anything tangible. Most of all, all of them were plagued by lack of any real range. New, experimental technology is almost never fully applicable from the get-go. After Tesla had taken over, things started looking up. Modern day electric cars can carry you across great distances without the fear of becoming stranded in the middle of nowhere if your battery runs out of juice. This time we’re looking back at some of the worst electric cars ever produced. 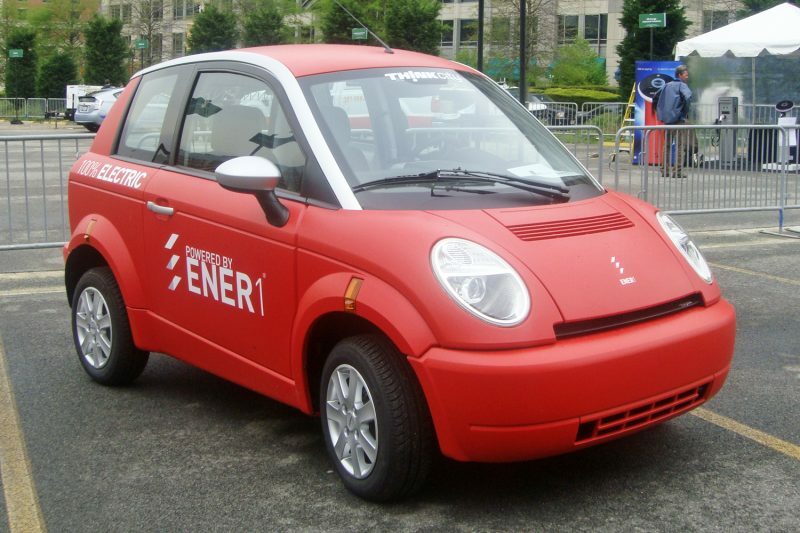 Whether these were built as a compromise in order to satisfy the EPA, or they were genuine shots at the electric car market, they never stood a chance due to their shortcomings. People simply never considered them at all while shopping for a new ride, hence they disappeared from the scene failing miserably at trying to achieve at least a hint of respectable sales figures. Think City (spelled Th!nk) was made out of recycled body parts, yet it was expensive, uderpowered and plagued by short range. On top of that, it also sported rather questionable styling. So, how it managed to sell more than 2,500 units over the course of 4 years (European production started in 2008), still baffles us. To be fair, Norwegian-made automobile was one of only five registered 100-percent electric cars in the US at the time of its arrival. And all kinds of incentives (including company’s own rebate), could have slashed that hefty $36,500 price tag to more bearable levels. Still, only 50 hp and 66 lb-ft of torque generated by petite 34 kW electric motor didn’t do it any favors. Top speed was advertised at 70 mph, although Think City managed more than 80 mph. By doing so, however, hatchback severely cut its already short 99-mile range. Slow sales and lack of major automaker’s cash flow resulted in Think Global’s bankruptcy, in the end. It was their fourth bankruptcy in as many as 20 years. One would have thought they’ve learned something the first three times!